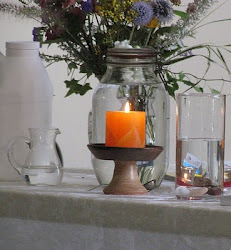 As Unitarian Universalists we value the "Inherent Worth And Dignity Of Every Person" and a huge component of a person's sense of worth and dignity is the value and importance and gratification that one derives from one's work. As adults we have a responsibility to our young people to teach them skills and abilities which they can utilize to support themselves, their families, and their communities. 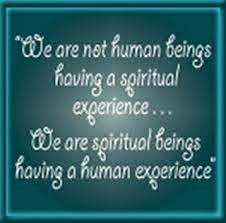 This is an important spiritual goal. How well are we doing? As a society, we are failing our young people. While the overall unemployment rate is 10%, the unemployment rate of people 16-29 is over 30%, higher than the Great Depression. The longer this group is out of work, the more damaging it is on the quality of their lives because this is the developmental time frame when they are developing their work identity, experience, skills, and resume upon which to base the later years of their lives. 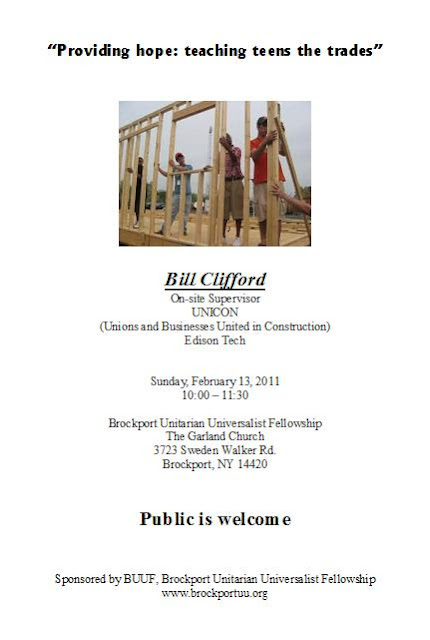 Bill Clifford, a member of the Brockport Unitarian Universalist Fellowship in Brockport, NY is a site supervisor for UNICON an organization of labor unions and businesses interested in helping young people learn the trades. UNICON has partnered with the Rochester City School District and provides training for high school students at Edison Technical High School in Rochester, NY. Next Sunday, February 13, 2011, Bill will be describing the program and his experience in helping young people learn the trades and become involved in very important work. Freud said that the purpose of life is to love and work. After finding love, there is no more richer blessing in life than to find work that nurtures one's soul. Identifying talents and abilities and then gaining knowledge and skills and finding opportunities to utilize them is a very important part of a spiritually rich life. The Brockport Unitarian Universalist Fellowship is proud to have Bill Clifford as a member and to support his important work with the youth of our community.